The Golden Age of Aquarius associated with the element of air is esoterically related to "Mind". Its qualities are community-oriented, original, open-minded, fair, logical, humanitarian, connecting, and visionary in nature. 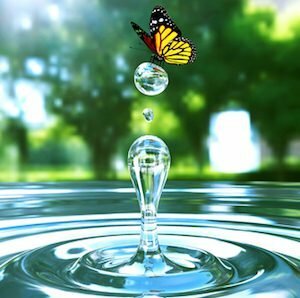 As the eleventh Celestial House with its water bearing sign the water element indicates its power of unification is the universal energy of "Love" symbolised by water. As Love is its force, those that vibrate to her frequency are selfless in service for the greater good of all. Group conscious is the hallmark of the Aquarian age. This we are seeing and experiencing across the planet in the unprecedented groupings of people from all walks of life, religion, cultures and nations uniting in service of some ideal or purpose for the betterment of all. We are experiencing the awakening of the power of group and global awareness affecting global affairs through the unity of the collective consciousness. Wellness is a state of a healthy evolving and conscious mind. The Retreats, Workshops and Wellness activities offer at the Centre are to heal and elevate human consciousness to balance thinking, action and living affecting change in all areas of life. For new consciousness to enter the mind self examination and reflection is the process that will yield a new reality. As Ghandi stated: “Be the change you want to see in the world”. To have mastery over oneself is the ultimate transformation. These group events expand self-awareness to spiritual awareness providing life skills and tools to integrate the benefits to transform your life. Information shared at these events has been gathered from a wide field of knowledge of esoteric, yogic, metaphysical and ancient wisdom that have transformed and evolved our lives from inside out. We add to this our combined qualifications and wealth of life skills and experience mined in the School of Life.